Trapped in ocean sediments near continents lie ancient reservoirs of methane called methane hydrates. These ice-like water and methane structures encapsulate so much methane that many researchers view them as both a potential energy resource and an agent for environmental change. In response to warming ocean waters, hydrates can degrade, releasing the methane gas. Scientists have warned that release of even part of the giant reservoir could significantly exacerbate ongoing climate change. However, methane only acts as a greenhouse gas if and when it reaches the atmosphere—a scenario that would occur only if the liberated methane traveled from the point of release at the seafloor to the surface waters and the atmosphere. 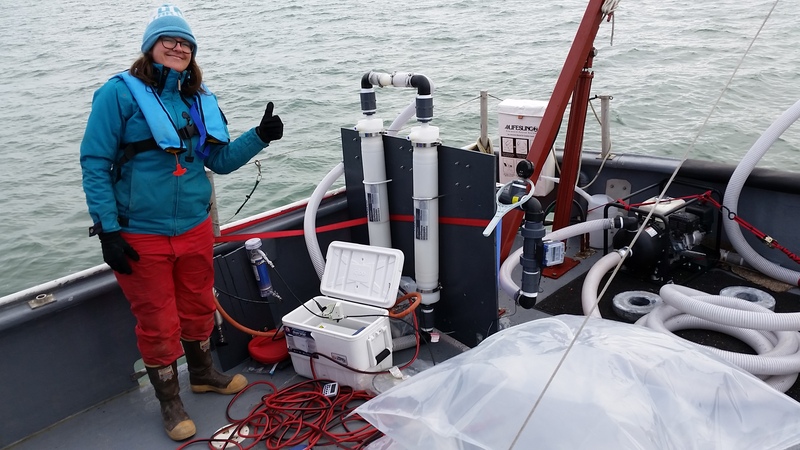 With that in mind, environmental scientist Katy Sparrow ’17 (PhD) set out to study the origin of methane in the Arctic Ocean. “While a logical suspect for arctic methane emissions is degrading hydrates, there are several other potential methane sources. Our goal was to fingerprint the source of methane in the Arctic Ocean to determine if ancient methane was being liberated from the seafloor and if it survives to be emitted to the atmosphere,” says Sparrow, who conducted the study, published in Science Advances, as part of her doctoral research at the University of Rochester. 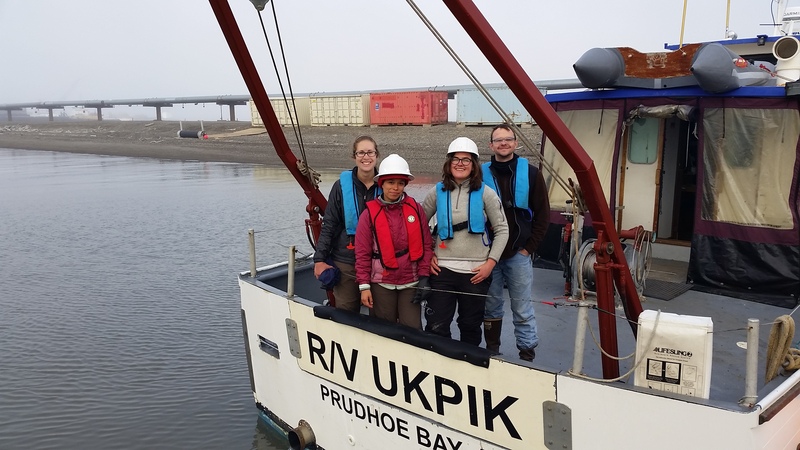 Sparrow, her advisor, John Kessler, an associate professor of earth and environmental sciences, and other collaborators conducted fieldwork just offshore of the North Slope of Alaska, near Prudhoe Bay. Sparrow calls the spot “ground zero” for oceanic methane emissions resulting from ocean warming. 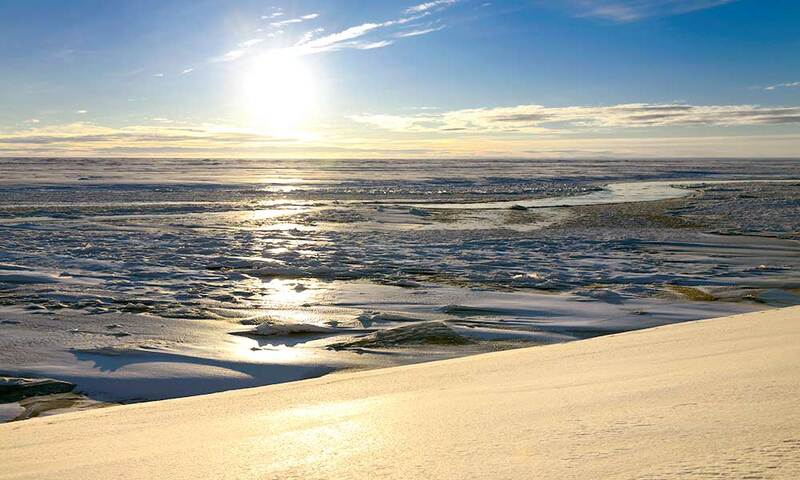 In some parts of the Arctic Ocean, the shallow regions near continents may be one of the settings where methane hydrates are breaking down now due to warming processes over the past 15,000 years. In addition to methane hydrates, carbon-rich permafrost that is tens of thousands of years old—and found throughout the Arctic on land and in seafloor sediments—can produce methane once this material thaws in response to warming. With the combination of the aggressive warming occurring in the Arctic and the shallow water depths, any released methane has a short journey from emission at the seafloor to release into the atmosphere. The researchers used radiocarbon dating to fingerprint the origin of methane from their samples. By employing a technique they developed that involves collecting methane from roughly ten thousand gallons of seawater per sample, they made a surprising discovery: ancient-sourced methane is indeed being released into the ocean; but very little survives to be emitted to the atmosphere, even at surprisingly shallow depths. “We do observe ancient methane being emitted from the seafloor to the overlying seawater, confirming past suspicions,” Kessler says. “But, we found that this ancient methane signal largely disappears and is replaced by a different methane source the closer you get to the surface waters.” The methane at the surface is instead from recently produced organic matter or from the atmosphere. Although the researchers did not examine in this study what prevents methane released from the seafloor from reaching the atmosphere, they suspect it is biodegraded by microorganisms in the ocean before it hits the surface waters. Mihai Leonte, a PhD candidate in Kessler’s research group, observed this process—in which microbes aggressively biodegrade methane as methane emissions increase—in a paper published last year. “Our data suggest that even if increasing amounts of methane are released from degrading hydrates as climate change proceeds, catastrophic emission to the atmosphere is not an inherent outcome,” Sparrow says. This study was primarily funded by the National Science Foundation with additional contributions from the Department of Energy.